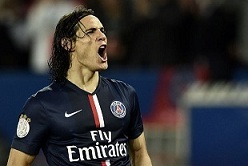 EDINSON CAVANI has agreed a four-year deal worth £22m with Italian giants Juventus. That's according to reports in Italy today. The Uruguayan superstar has been a key summer target of Arsenal, Manchester United and Liverpool but now, all could be left hugely disappointed. Gazzetta dello Sport are reporting that the Paris St-Germain striker is happy to join the Serie A Champions and will complete his deal when the transfer window opens. Cavani recently dropped a huge bombshell by admitting he could leave PSG and if reports in Italy are correct, it seems the player has made up his mind. Cavani told GQ: "I don't know whether I will stay at PSG. I might stay, I might leave... You never know what will happen in football.